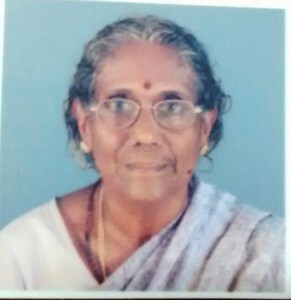 Mrs. C. Kumari, mother of former Indian’s men’s basketball captain, Jayasankar Menon passed away on July 29th due to a cardiac arrest. She was admitted at Daya Hospital, Thrissur. Mrs. Kumari was a retired Sherestadar of Chief Judicial Magistrate and was 76 years of old. The cremation took place on 30th July at Paramekkavu Santhighat Crematorium, Puzhakkal, Thrissur at 11 AM.